With 2015 coming to an end, my thoughts have turned to an old American custom: the creation of yearbooks to commemorate shared experiences. I don’t know when the first yearbooks appeared. My guess is that they are traceable to the late nineteenth century, the ability by that time to print photographs, and the desires of graduates at colleges and private preparatory schools to have a way of remembering all they had gone through as classmates. 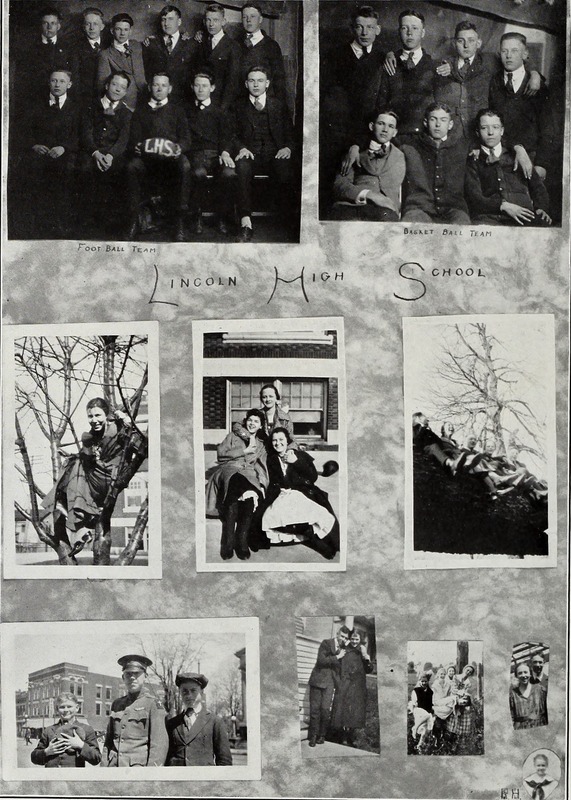 By the early twentieth century, in any case, yearbooks were a part of the culture of American education. In his wonderful history book, Golden Dreams: California in an Age of Abundance, 1950-1963 (2009), Kevin Starr calls attention to the value of high school yearbooks as keys to the cultural values of the eras in which they are produced. As we view page after page of photographs of graduating seniors, basketball teams, performers in plays and musicals, proms, marching bands, students eating in cafeterias, and heads above books on desks in study halls, we begin to see patterns in the ways that the yearbooks present a shared experience. The high school campuses are orderly and well maintained, the students are almost always smiling, there is a feeling of great energy and enthusiasm, the range of after school activities is enormous, the faculty members are friendly, the janitors are included as part of the family, and, even at the schools in low-income neighborhoods, there is an appearance of material prosperity. In addition, over time, there seem to be generational differences. 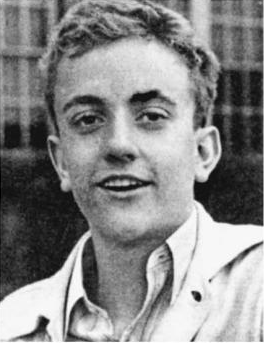 For example, the students who appear in the pages of yearbooks for the period after World War II up until the mid-1960s seem more like adults than students of later periods, who seem more assertive in the ways they wear their styles of clothing and pursue activities chosen to mark them as different from their parents. 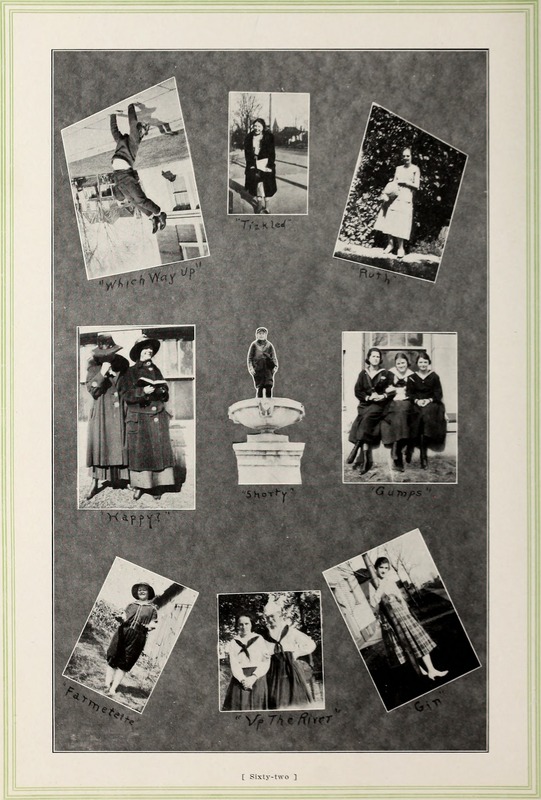 Simultaneously, the yearbooks record categories of activity that span generations and can be found at almost any time, whether the year is 1935 or 1970, such as who is mostly likely to succeed, who is the cutest, who is the brightest, who are the cheerleaders, and who are the best dancers. Today, with the world’s transition to digitization, yearbooks as we have known them may be on the way out. Paper is heavy and expensive. Binding is labor-intensive. Layout and page composition are easier to manage electronically than as part of a process of transferring ink to a printed page. If yearbooks survive, they may soon be creations of the online world exclusively. 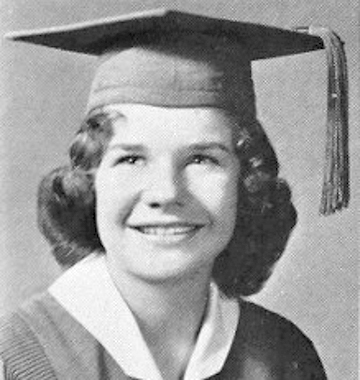 I sometimes think that the mid-twentieth century, when I was a high school student, may someday appear to us to have been the heyday of yearbooks. In 1960, when I was in the twelfth grade at Berkeley High School, I was the editor of our yearbook, and thus obtained an inside look at the process by which such a memento was created. Our high school yearbook was called the Olla Podrida, which meant “Spanish Stew.” More commonly, for short, we called it The Pod. I fell into the job of serving as Pod Editor almost by accident. In the latter half of the eleventh grade, I enrolled in Journalism class, got very good grades, and was invited by our Journalism teacher to serve as apprentice editor of our school newspaper. I accepted with pleasure and threw myself into the assignment when it arrived. I received many compliments from teachers and fellow students for the issues of paper published under my editorship. A few weeks before the end of the semester, when our journalism teacher asked me to come by her office after school for a conversation, it seemed to me that an invitation to become editor in chief of the school paper for my upcoming senior year was now inevitable. I still remember my teacher’s gracious, approving smile as I sat down in the chair next to her large, newsprint covered desk. ”Thank you,” I said expectantly. ”Oh, quite impossible,” she said. Her tone was friendly and matter of fact. ”Haven’t I done well enough to run the paper?” I asked. By now my teacher was noticing that I was distressed and perplexed. She stared at me to get a full reading of my emotions, then got a look on her face that said she was beginning to see a missing link. I sighed, thanked my teacher, and told her I needed a few days to think. A few days later, I accepted her offer to become editor of the yearbook. One more surprise awaited me. About a week after the announcement that I would be the new yearbook editor, our teacher announced that she was retiring. I don’t know if the decision was sudden, or if it had been made many months previously but was only then being made public and had been kept from me for unspecified reasons of timing. In any case, the announcement added large unknowns to the contemplation of my future as a yearbook editor, and I did not need any more large unknowns, given the difficulties surrounding the yearbook that were already clear. The student yearbook at Berkeley High School was in bad shape. There was a boring sameness to each issue, which consisted of page after page of fuzzy, stilted photographs of student groups and pompous text in hard to read, unattractive blocks of small typeface. All the photos were in black and white, and the cover, semester after semester, was unimaginative and boring. Not surprisingly, sales to students had been decreasing for several semesters, and there was a danger that the issue I would be editing would not attract enough customers to finance itself. The next day, Bob and I had lunch together and he taught me the difference between letterpress and lithography. In letterpress, each page of material to be printed is set up in a wooden or metal frame with movable type, and copper, electrostatic plates are used to produce pictures. An impression of the page is then melted onto a cylindrical, metal plate that is inserted onto the rotary press that produces the actual printed matter. In lithography, however, it is as if each page is a large photograph, and an initial step called paste up is the key to the process. Blocks of text are printed separately, then cut out and pasted onto a master page along with photographs and any desired artwork. An image of the entire page is then transferred onto rollers and the pages are printed, from this point on, in much the same manner as they would be if on a standard rotary press, although with more rollers and different consistencies of ink. In the nineteen fifties, letterpress was still the preferred method of printing whenever maximum clarity of image was desired. But lithography was rapidly increasing in quality, offered much greater freedom in page layout, and was less expensive, leaving room in the budget to pay for features such as color printing and a more attractive book cover that were added expenses in letterpress. At the end of our lunch, Bob explained his reasons for sharing his knowledge of lithography with me. 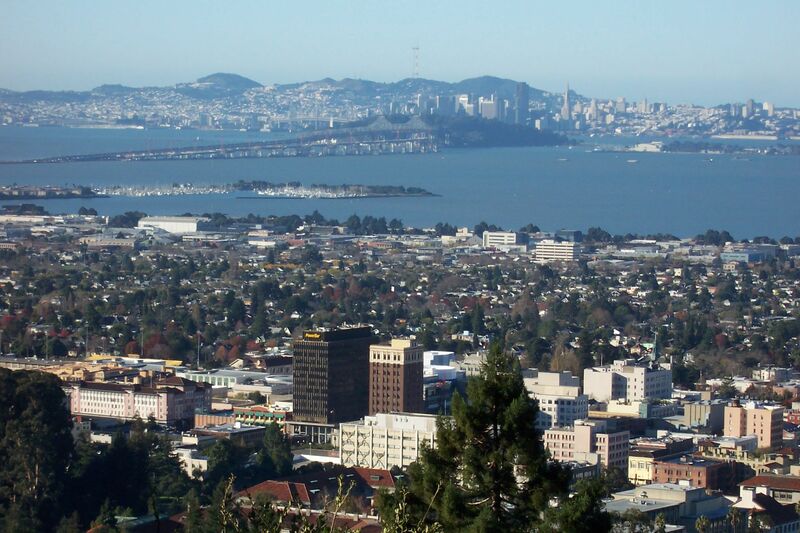 He wanted his school to have a better yearbook, and he was hoping he could divert Berkeley High’s printing business to the firm, Brazelton and Hanscom, located only a few blocks from the high school, where he was apprenticing each day after school. He was not talking about improper influence, he emphasized, only open competition for the job. I said I wanted to know more, and Bob offered to set up an appointment for me to meet his boss, Mr. Brazelton. 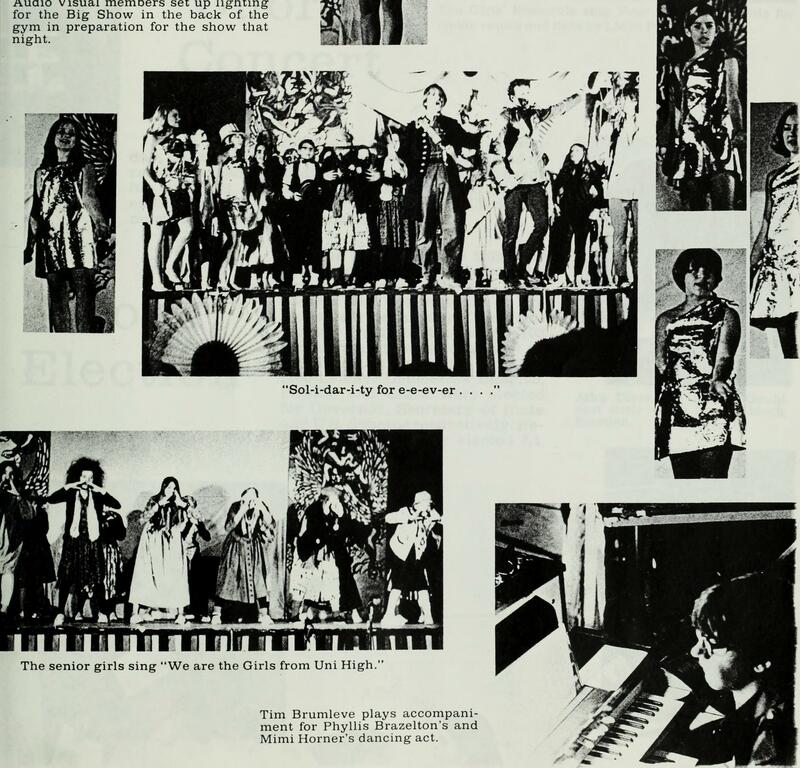 The next Saturday, I had a long session at their plant with Bob and Mr. Brazelton and got a chance to see the yearbooks the firm had been producing for area high schools in such places as Oakland, Richmond, and El Cerrito. The clarity of typeface and photographic image in all the Brazelton and Hanscom yearbooks was very nearly as good as that produced by letterpress in our Pod. And in all other respects the contrast was startling. For the same price as our Pod, the other schools were able to offer more pages, color trim on each page and in many cases color photos, great variety in layout and artwork, and deluxe, padded, simulated leather, embossed, two color covers. The relative benefits were obvious. 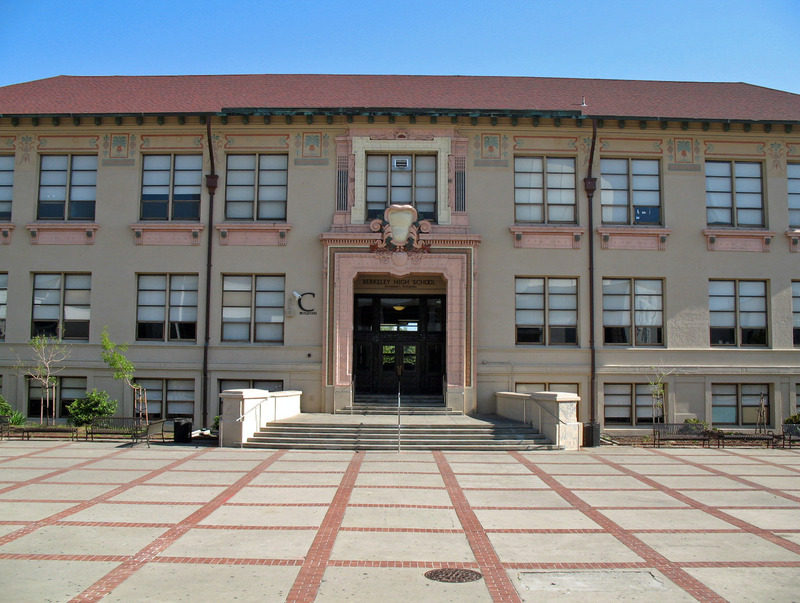 I told Mr. Brazelton I wanted to see if I could persuade the powers at Berkeley High to change printers, and I asked him if he would be willing to help me even though I could not guarantee an outcome in his favor. He said he would help and gave me his word he would stick by me no matter how difficult things might become. For the next several weeks, I spent my Saturdays at Brazelton and Hanscom learning the potential of lithography and preparing mock layouts for the yearbook of my dreams. With the arrival of summer vacation, there was a hiatus in work on the Pod. Then when September came I was back in Berkeley with a few weeks to spare before the start of school and the completion of my last year as a Senior. Over the summer I had been building ever-higher hopes for a radically improved yearbook. Now came the most critical moment of all. I had to persuade the powers at Berkeley High that we should shift to a new printer. At first, our Principal would not hear of it. He was a kind, strong, but rather cautious, unimaginative man. So, one day, I made an appointment to talk with him for an entire hour, and I brought in samples of yearbooks produced at other high schools and used every bit of knowledge at my command to win him over. He responded by punting. If the other students in the Journalism class would agree with me, then he would give permission for us to switch printers and go to lithography. A week later, I gave the same presentation to my classmates that I had given to him. They were much easier to persuade, and the shift to lithography became official. That left only the problem of marketing. Based on issues of recent years, the students of our high school were increasingly less confident that an investment of $2.50 to buy a Pod was worthwhile. Our student sales force didn’t buckle, however. Fifty students strong, they canvassed their classmates, wrote articles for the school newspaper, and paraded around the campus in silly costumes to remind students of the importance of having a record of their years in school. Thanks to them, we sold enough copies for The Pod to survive, and, at the end of the semester, it was received with great praise. Excellent historical account of life at BHS and the “Jacket” and the “Pod”. Brought tears to my eyes. What a surprise to discover this blog. I am the daughter of Mr Paul Brazelton, of Brazelton-Hanscom Printing. My father died in 1969 and this reminds me how much he loved teaching young people about his love of printing.